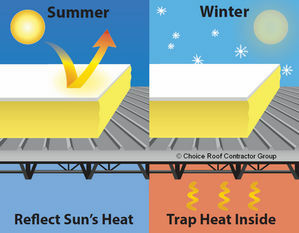 Are you paying too much to heat and cool your El Paso, TX home? Do temperature extremes make your home feel too hot or cold, despite the best efforts of your heating and cooling system? Energy prices are going nowhere but up. And in our increasingly eco-conscious world, homeowners like you are looking for creative ways to conserve. Ace Insulation Services Inc's residential insulation solutions help you achieve a noticeable reduction in your heating and cooling bills, keep your family comfortable, and do your part to preserve the earth’s valuable resources. At Ace Insulation Services Inc, we help customers save money and reduce energy usage through high-performance insulation designed to keep your home warm in the winter and cool in the summer. With insulation from Ace Insulation Services Inc, you can say goodbye to sky-high utility bills and enjoy increased comfort inside your home – whatever the season. Start saving now! Contact Ace Insulation Services Inc today to learn more about our residential insulation products and services.